Our 5-year-old son deserved a treat for performing well (both in the invocation and in their song and dance numbers) in their school Christmas production held at the Tektite Auditorium of the Philippine Stock Exchange last December 10, 2011. 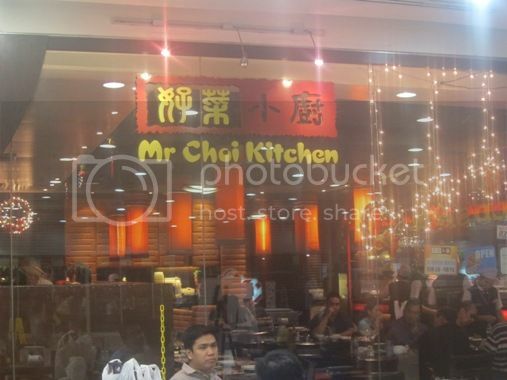 It was lunch time when the show ended, so we decided to have lunch at Mr. Choi Kitchen at Robinsons Galleria. 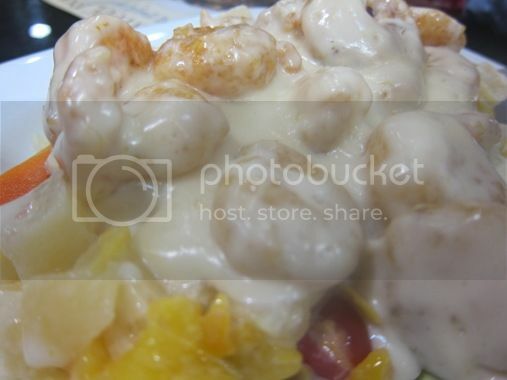 We had Hot Prawn Salad at Mr. Choi Kitchen when we celebrated my birthday here last January, and this was one of the things we enjoyed, so we made a repeat order. The noodles were underneath all of those wonderful toppings. We hadn’t mixed the noodles yet with the sauce and toppings because I was in a hurry to take a picture before everyone starts devouring this. The Birthday Noodle that we had the first time we visited Mr. Choi Kitchen tasted so much better than this one. This needed a little more salt. We liked this! The meat was tender and seasoned just right. 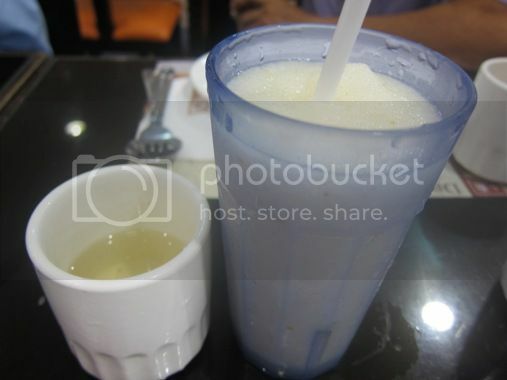 We ordered Coke Zero for hubby, iced tea for Justin and his yaya and this Lychee Shake for me. Justin’s lolo settled for the house iced tea. I opted not to add syrup to my fruit shake anymore because the Lychee Shake on its own was already sweet. It was no surprise that our plates were swept clean in no time because we were all so hungry when we arrived at Mr. Choi Kitchen. 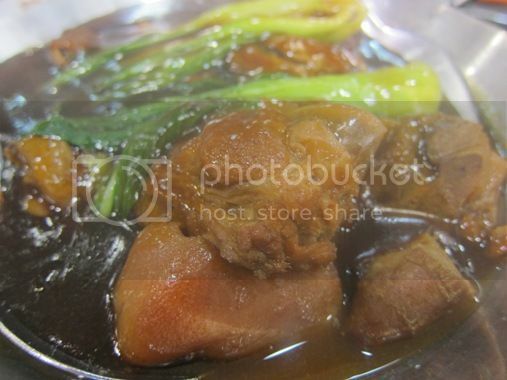 This entry was posted in Chinese Cuisine, Food Trip Friday, Mr. Choi Kitchen, Restaurant Review, Robinsons Galleria. Bookmark the permalink. ayay! 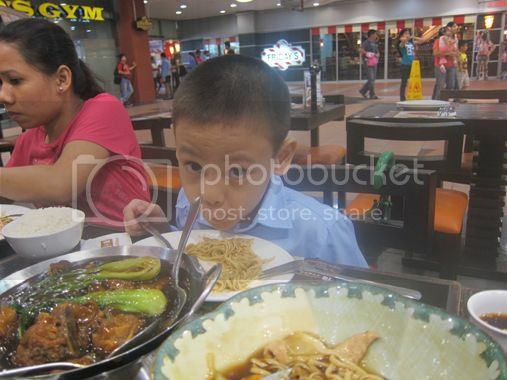 super duper sarap….you always order great selections of food…namit! 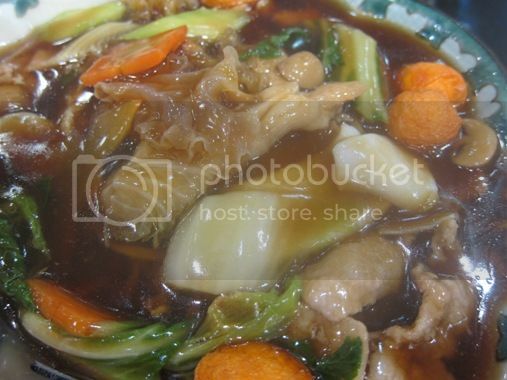 I love Mr. choi…oohhh bokchoy…I had tried it at Walter Mart Pasong Tamo, years ago! hooray for justin:) worth the treat. and, i’m drooling over that prawn salad. These are drool-yummy photos! I’d like to have the hot prawn salad! wow! wow!! that prawn salad looks delightful!! thanks for the visit..sorry it has taken some time for me to visit back! I’d like to try all these dishes but especially the prawn salad and lychee shake. Looks like a lovely family lunch. Thanks for the FTF visit! as usual, ang sasarap ng orders nyo…hehe..Late visit from FTF Tetch. Ang bongga naman ng mga pagkain dito. Ginutom ako bigla.